Black History Month (BHM) is a great period of reflection for Africans and African Americans on how far we have come throughout our history. For many who do not share our heritage, BHM presents an opportunity to show support to another culture. It can sometimes be tricky to navigate this support within the workplace, as being an ally is not a common topic of in-office discussion. -Make an active effort to listen. When interacting with your coworkers of different ethnic backgrounds, do not try too hard to verbalize your support. You may have great relationships outside of work with people from other ethnic backgrounds- maybe a friend or family member- but that doesn’t necessarily translate to a minority colleague feeling heard and supported. Though it may be tempting to emphasize the ways you can relate, initially allow your colleague to drive conversations around diversity and the challenges minorities encounter at work. Your ability to actively listen can turn a difficult conversation into a much smoother ride. -Find ways to engage within the community. Many companies have Employee Resource Groups (ERGs) that aim, in part, to support various minorities groups. An ERG can be thought of as a network of colleagues with a common purpose. At Capgemini NA, we have 11 ERGs that support our Diversity & Inclusion (D&I) program. I belong to one of our ERGs called A3 (pronounced A-cubed). 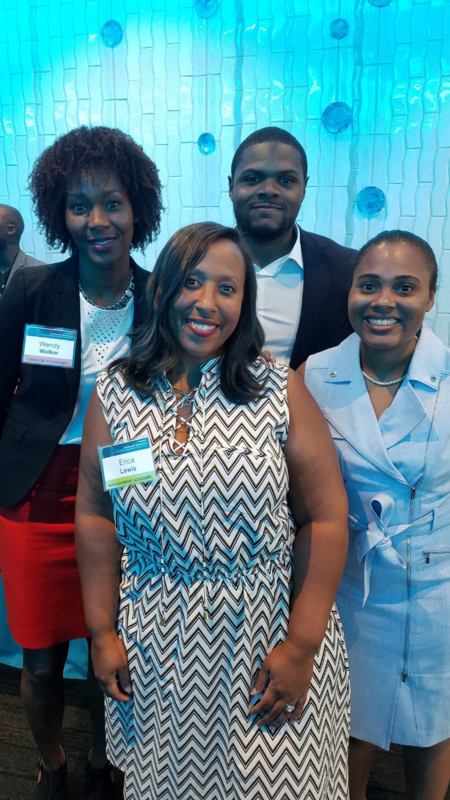 The mission of A3 is to further the development of D&I within Capgemini, as well as promote Capgemini’s core values, with emphasis on the African and African American community. If your organization does not already have organized groups with minority-focused goals, take the initiative to get engaged within your community instead – maybe get together with your coworkers and volunteer at a local non-profit organization that supports minorities. Alternately, you can support local minority-owned businesses when considering locations for team building events or after work functions. -Always be willing to learn more. Acknowledging there is always more to learn about other cultures is an important step towards becoming a better ally. Recognizing that each individual’s experience is unique, is even better. Try not to let your current views cloud your ability to learn from new discussions and experiences. It is easy to make generalizations based on someone you know, a story you have heard, or a past experience. Instead, make the effort to continuously challenge your perspective. -Take time to consider a walk in another’s shoes. This adage still holds true when in the role of an ally. The challenges minorities encounter today aren’t always apparent. Stresses minorities face in the workplace are built up day-to-day, through an accumulation of both large issues and micro inequities. In the consulting industry, for instance, I have always found it challenging to travel each week with a carry-on bag that limits the amount of hair care products that I can take with me. I cannot count the amount of times I have received comments in professional environments similar to “Are you feeling stressed?” or “You should wear your hair straight” when my hair is looking more frizzy than usual. While this may seem like a small remark to some, take a step back and imagine the situation for yourself. I know personally I felt ostracized enough at school to spend hours straightening my hair each day; it took years to feel comfortable wearing my hair naturally to work. The imagery of natural hair being messy and unprofessional is even reinforced in pop culture, where TV shows such as Scandal only show the main character’s natural, curly hair once she is kidnapped. Context can truly transform a simple question such as “Where are you from?” from a casual comment to an accusation. It all depends on that particular person’s experiences. Remember that there is typically more than meets the eye. -Don’t be afraid to ask questions! I am not recommending that you call up the first person of color that comes to mind and rattle off 100 questions. However, if you are confused about something, do not hesitate to simply ask. Many people of color would prefer getting an awkward question than having to deal with an incorrect assumption or inappropriate action later. Further, if you witness bias or notice a stressed colleague, asking “How can I help?” can make a huge impact towards a coworker feeling supported and safe at work. In conclusion, one of the most powerful things you can do as an ally is to take action. Take action to learn more about those around you. Take action to listen and, importantly, believe people of color when they share their experiences with you. Take action to intervene whenever you witness bias or minority stress, and encourage your colleagues to do the same. Becoming a better ally is an ongoing process; and I wish you luck in embarking on the journey! 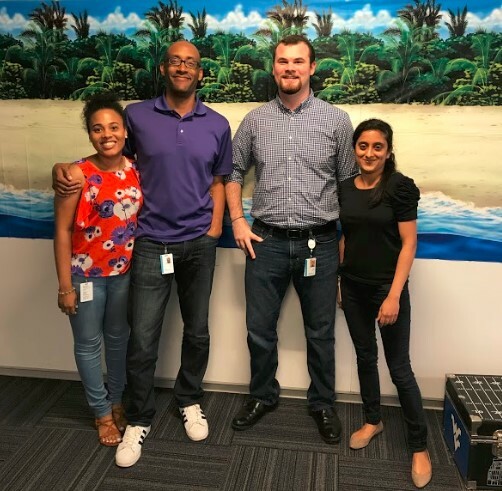 A3 ERG exists to further the development of diversity & inclusion within Capgemini, as well as promote Capgemini’s core values, with emphasis on the African American community. A3 is focused on networking, mentoring, awareness, recruitment, and retention among those who are interested in African American culture. Danielle joined Capgemini in June of 2016 and is based out of Denver, Colorado. She is aligned to the Digital Interactive practice within the Application Services team. Outside of work, Danielle enjoys spending quality time with her puppy and hedgehog; exploring new cities; and sharing laughs with friends and family. What’s Capgemini’s Resolution to Progress Gender Balance in the Workplace in 2018? More Women Leaders, Better Results!